Reality Decks: Yet Another VR Vinyl DJing Experience? 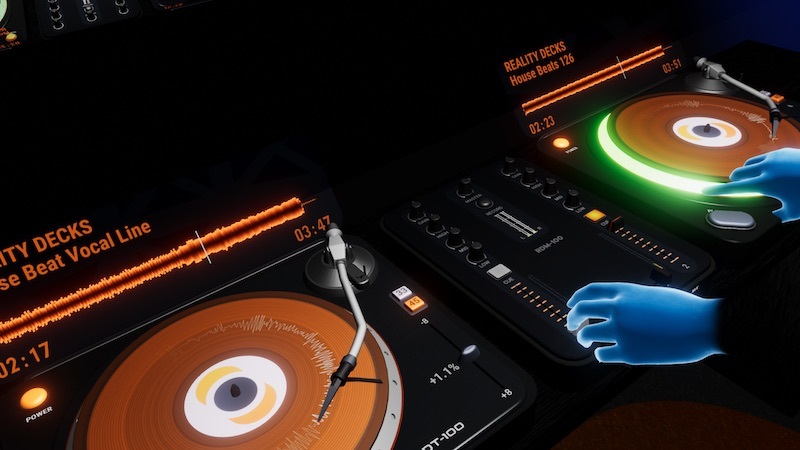 We covered the realistic-feeling Vinyl Reality, a VR experience designed to emulate the experience of DJing on vinyl using HTC Vive, when it first launched. Now there’s a new entrant, Reality Decks, which appears to do a very similar thing – but for the Oculus. 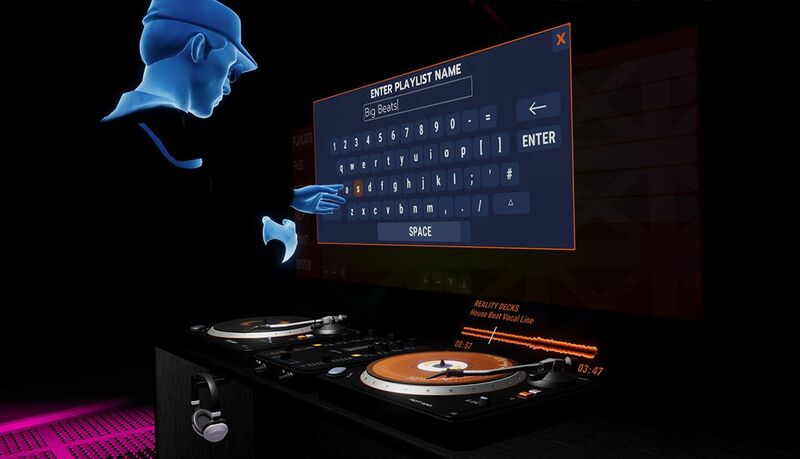 It seems like we’re living in a bit of a gold rush for DJ apps in VR – keep reading to learn more about this release. Many of you are probably scratching at this new VR release – didn’t we just have one of these with Vinyl Reality? Ultimately, during a onslought of app development for any platform, it’s guaranteed to see some very similar apps come out. But remember, it doesn’t matter if you’re first – it matters if people buy and regularly use your app. “Reality Decks features the RDT-100 turntable, the first turntable designed from the ground up for virtual reality. The RDT-100 accurately models the feel of a direct drive turntable and slipmat but also features unique control mechanisms that make precision mixing possible in VR. 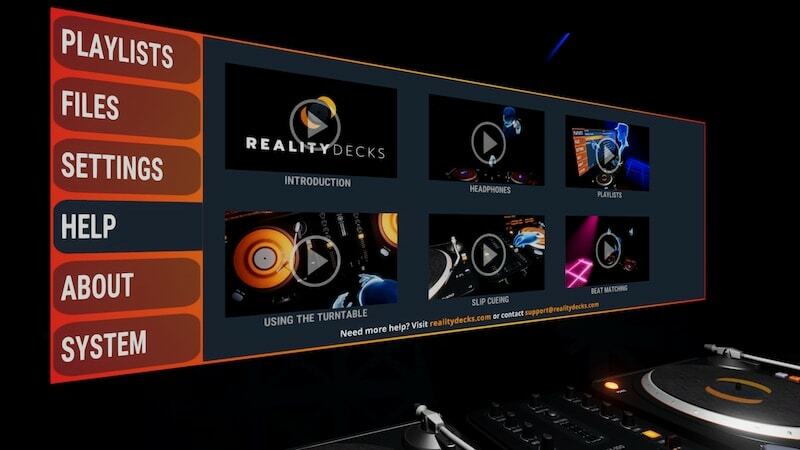 Reality Decks is built to a professional grade but is also suitable for casual users looking to learn to DJ without having to invest in DJ decks. The app features 6 tutorials guiding the user through the basics of DJing from operating the controls to slip cueing and beatmatching. The app also comes bunded with music. There are 10 tracks from up and coming featured artists, 5 practice tracks and 25 vocal hooks for scratching. Users can load their own music files which appear as virtual vinyl records complete with record grooves created by analysing the audio. At the end of the day, the process of mixing on vinyl is about building an ear for beatmatching and associating physical movements (pitch fader changes and nudging the platter) with their results. Think of VR apps like Reality Decks not as a replacement for the experience of playing on real vinyl, but rather a very good training program for kids without the money or gear to learn how to beatmatch on turntables.